This product is a supplement to O Breath of God. Keith Getty is acclaimed as one the great 21st-century hymn writers. 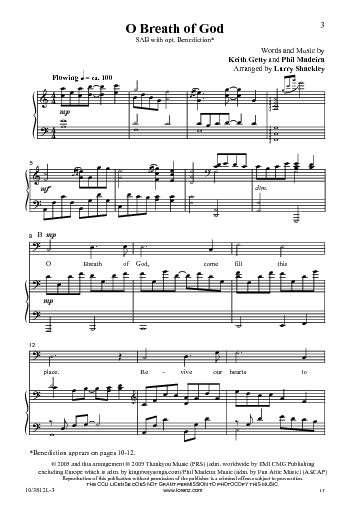 Partnering with lyricist Phil Madeira, he has created a moving new hymn in celebration of the Word, Love, and Breath of God that guides, nurtures, and sustains His people. 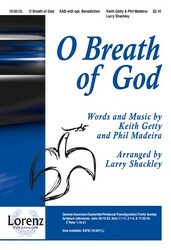 This marvelous setting includes a final verse celebrating the Trinity and arranged as the perfect worship benediction.